Just Reduced! 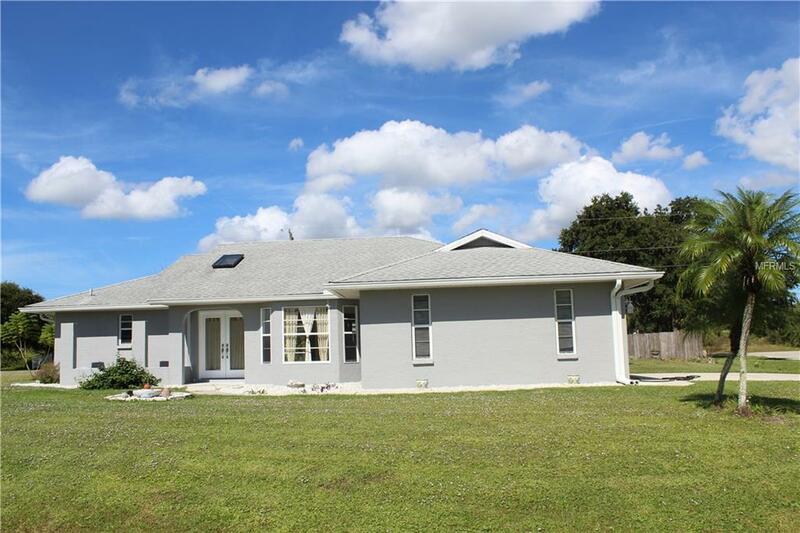 Pool Home on Half Acre Totally Remodeled inside and outside like new! This is what you have been dreaming of a huge half acre lot with a Private Pool overlooking your butterfly garden. Natural beauty awaits you. Lush landscaping welcomes you as you enter your new home. The home just completed a total makeover. The New Gourmet kitchen is amazing. You will Love the Granite counters in the Kitchen and both bathrooms. The Kitchen has new appliances and New Cabinets with custom Stone backsplash that makes this home scream Luxury! The custom Floors are perfect what a masterpiece. There is Custom Tile flooring in the living room, formal dining room and bathrooms. Lots of space in this large home and the walk in closets in each bedroom is perfect for additional storage. The utility room is even perfect with washer and dryer to stay and a nice utility tub great for working on your garden when you need to clean your garden tools. The butterfly garden and half acre makes this Paradise in Englewood close to beaches and shopping you will never want to move from this beautiful home. Roof was replaced in 2007 and Ac/Furnace is newer also. This is the best deal in Englewood look no further pack your bags and Welcome Home!